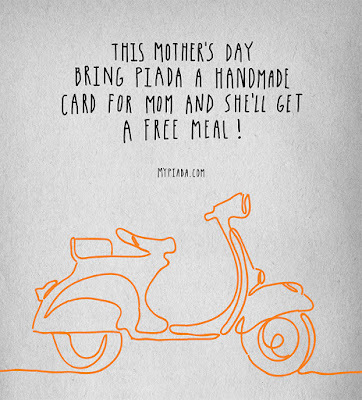 Show your mom some love - get her a FREE meal by making her a card and bringing it to Piada to display on their walls! 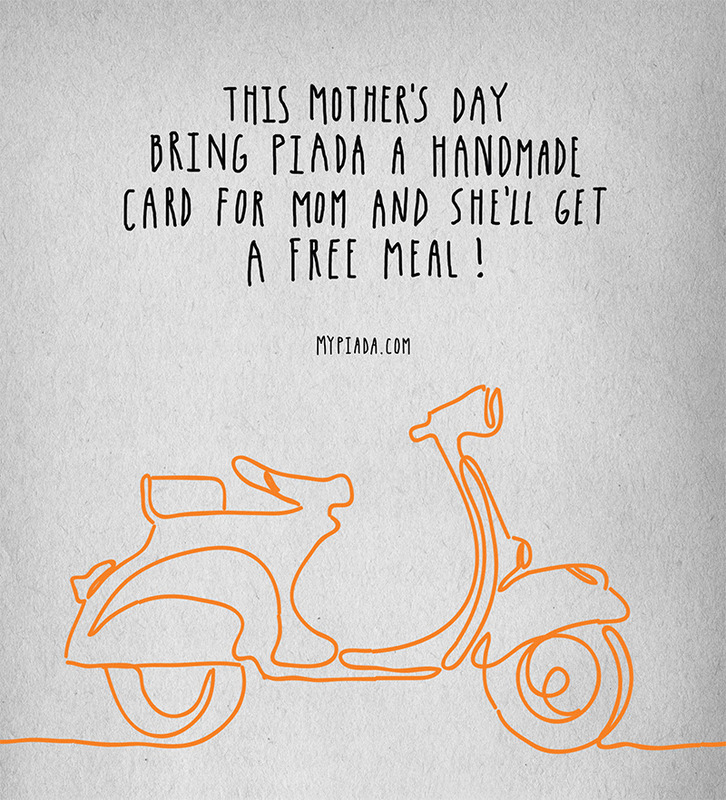 Every mom with a handmade card will receive a FREE Piada, Pasta or Chopped Salad on the house! Husbands, you no longer have an excuse to ensure your wife has an amazing Mother's Day with FREE Piada.